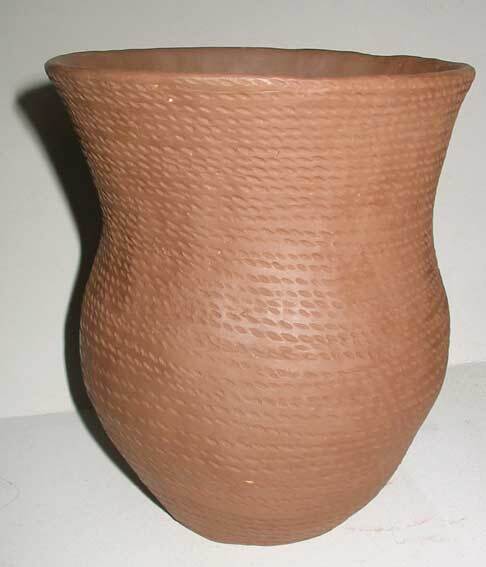 Bill has made a batch of replicas of the Amesbury Archer Beakers. To see more images and a description of the firing follow this link. 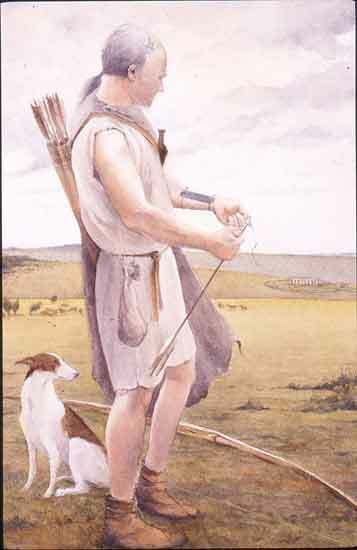 This is Jane Brayne's illustration of the Amesbury Archer. See this link for details of his current resting place at Salisbury. This is one of Bill's All Over Corded Beakers, just drying out before firing. These beakers are cooling down. 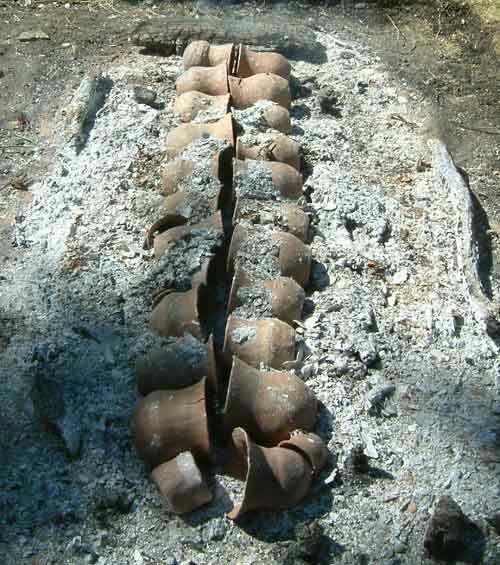 To see more images and a description of this firing follow this link.